Yup! Flex Apps on your mobile. And I'm not talking about Flash Lite and you won't need CS5 either. 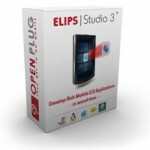 ELIPS Studio converts the Flex code in native code for Windows Mobile, Symbian, Android, iPhone and mass-market mobiles. It's still beta and you have to register for a beta account to get it but I think will do wonders for the mobile dev. world. "ELIPS Studio 3 is a plug-in for Adobe Flex Builder, a widely used IDE for internet & desktop application. Our plug-in allows Flex to go mobile! The product includes a form-factor device simulator allowing you to see your application behavior on different devices. It also includes a network simulator allowing to generate calls, SMS, etc." I just finished writing a Flex3 library that will allow you to read a great number of image formats using flex and actionscript 3. The component uses a codec like rendering system, so each time you provide it with a source, the codecs attempt one by one to read the file signature and decide which one is fit to decode the image. As I said before, the way you provide the source doesn't really matter. You can zip up all your images in an archive and as source you can just point to the file inside the zip. This way, you greatly reduce the number of requests to the server. But this is not all. Source can be also provided as a base64 encoded string, or as plain text (only p3d can take advantage of this since the p3d file is plain text as well). It may be interesting to know at runtime whether an application is running from a debug or release SWF file. It allows the application to automatically execute debug specific code when the file is a debug SWF file and ignore this code when it is published as a release file. Also, it should be nice to know if you have a debug flash player just for the same reasons. But for the last one, there is a function in the Capabilities class called isDebugger. One solution would be to use conditional compilation. The other solution is in the following code (hack). * Returns true if the user is running the app on a Debug Flash Player. This code simply searches for line numbers of errors in StackTrace result. Only StackTrace result of a debug SWF file contains line numbers. Then we know that we are running a debug or release SWF file. I've just started working on a set of Flex components which I call Flex Components Pack. I've only managed to make 11 components till now but I'm still working and have a lot of ideas on my to-do list. If any one of you is willing to help I would be very glad to get an extra brain in here. Just drop me a comment or something and I'll share the road-map and SVN path with you. I've made a page where I will add tutorials, code examples and runnable demos as soon as possible, so check back soon. Till then, you can download the library and take a look. (13/06/2009) - Added 5 more components. A simple but nice led light switch and 4 visualisation effects (EQTunnel, EQLine, EQWave, EQBars - winamp style). Just drag and drop the EQ on your app and it will animate any running sound inside your flash.